Sometimes Lacy, our dog, can be heard whiny at the door. 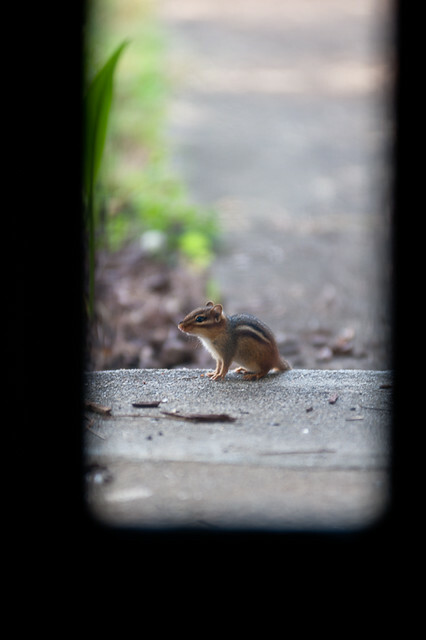 We never know what will be outside, today it was this cute little guy. I think the chipmunks like to tease Lacy by sitting outside the window and waiting for her to see them.